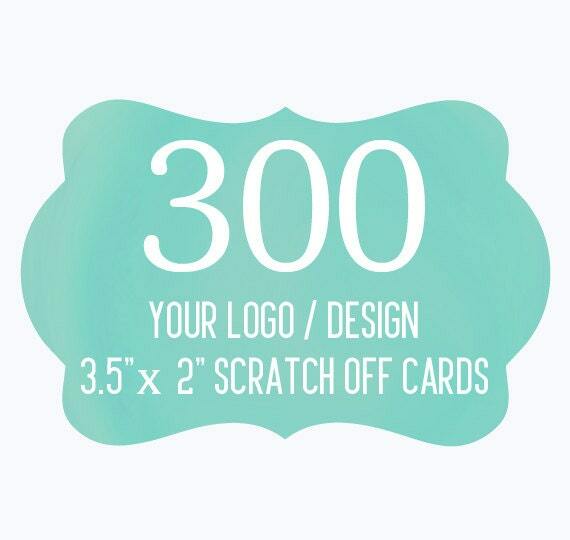 300 Custom Promotional Scratch Off Cards. Your purchase of 300 cards will come with 4 different variations. Scratch off cards are professionally printed on heavy high quality matte card stock. Your product will be shipped within 1-2 weeks. (Proof approval is required for all custom made products) Your proof will be sent to you via Etsy under your conversations. If no response is received within 3-5 days, the proof will be deemed acceptable and shipped as is. Shop owner is a great communicator, responds quickly, and makes a high quality product!